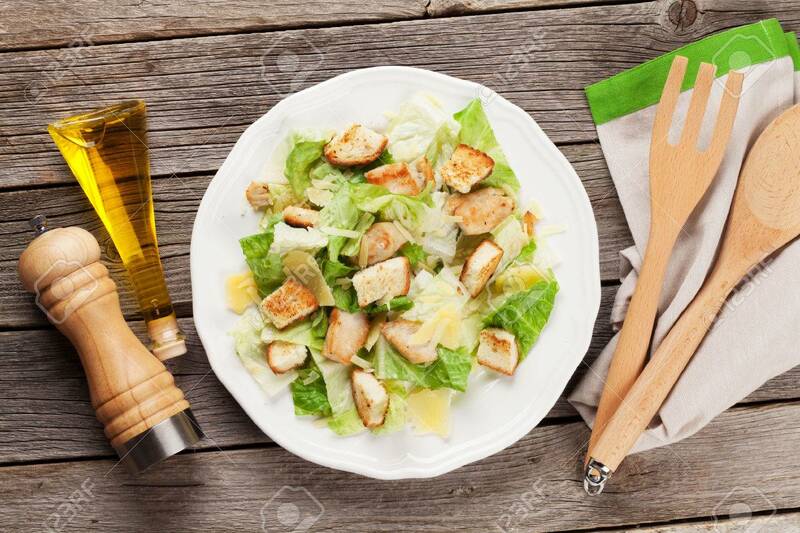 Fresh Healthy Caesar Salad Cooking On Wooden Table. Top View Stock Photo, Picture And Royalty Free Image. Image 58872171.